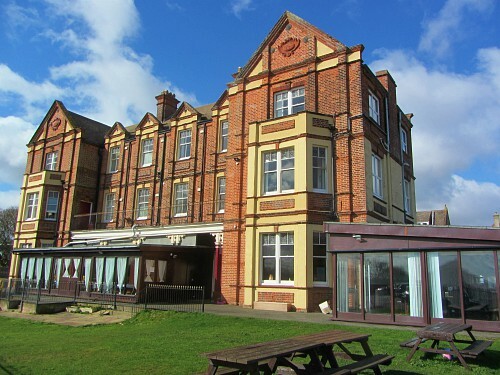 The Manor Hotel Mundesley is an impressive Victorian building with breath-taking sea views. There really aren’t many hotels in Norfolk that are perched on the top of the cliff with views like this. 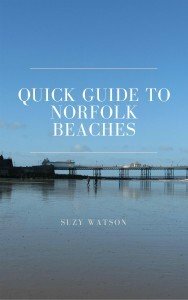 So, if you're looking for a relaxing beachside holiday break in Norfolk accompanied by sea views, a beach and a bit of Victorian history, then this is definitely the place to come! 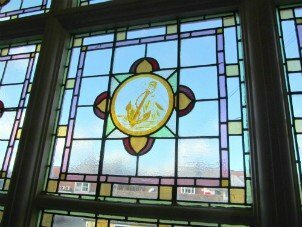 With many original features still very much on show such as the superb glass stained windows dotted around the hotel, fireplaces and Victorian cornicing on the high ceilings, this is a hotel where you can really unwind, enjoy the sea air, sea views and the lovely Mundesley beach below the cliffs. 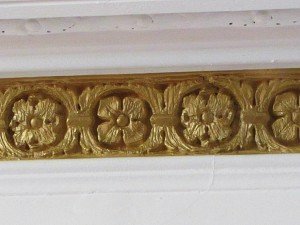 decorative cornicing in some of the rooms. None of these features have been taken away in order to modernise this hotel. In 2018, the Manor Hotel was bought by Steve Williams and he has worked tirelessly, since he took ownership, to improve many of the architectural issues that he encountered, and has now started on the aesthetics of the hotel. Change is a foot! As Steve says, “this is a work in progress” but that doesn’t detract from the fact that the views are outstanding and the hotel is very comfortable, clean and very dog friendly. Since mid 2018, many of the rooms have been upgraded and improvements have been made in different areas of the hotel so it deserves credit where credit is due. The one thing that I love about the Manor Hotel Mundesley is that it has no pretences. It’s not trying to be a boutique hotel. If that’s what you are looking for, you would be best to go to the North Norfolk Coast where there are some lovely examples of boutique hotels. The Manor Hotel Mundesley is very much a down to earth, 3 star, respectable hotel radiating Victorian charm where it can, and with the added bonus of incredible sea views! 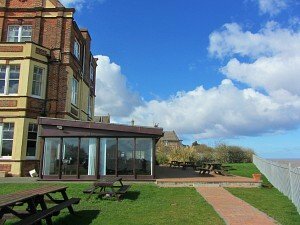 In the warmer weather, there’s a lovely garden overlooking the cliffs with picnic tables for you to sit at and enjoy a drink, and there’s also plenty of parking which is always an added bonus. You can find out more about any offers and availability at the Manor Hotel here. And, as an aside, as well as the Manor Hotel Mundesley, Steve also owns the Bar Victoriana which is almost next door. This is another must when you visit Mundelsey as this is a really fun place for live entertainment and an odd cocktail or two! Also, the interior is amazing - the fantastic Victorian architecture is still really evident. You can read more about it here. In the first year of ownership, Steve has upgraded many of the rooms in the hotel. 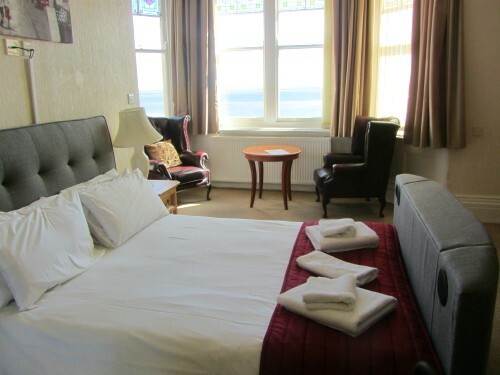 The executive rooms (not dog friendly) have stunning sea views, brand new bathrooms, beds and décor. Many of these rooms have the wonderful high ceilings from the Victorian era, and large sash windows which really do have breath-taking views overlooking the sea and all the way to Happisburgh. In fact you can even see Happisburgh lighthouse from a couple of the rooms! You can find the prices of the rooms here. 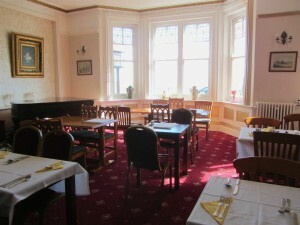 Just for your information, some of the other rooms have not been redecorated yet (takes time! ), so if you’re particular about what you would like, it would be sensible to contact the hotel direct when you book. 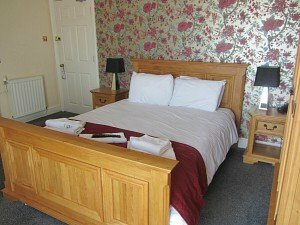 You can find more details about the rooms, offers and deals on the home page of the Manor Hotel website here. 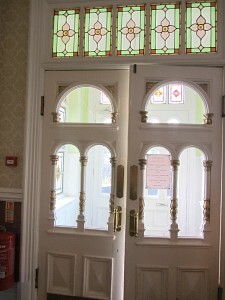 You’ll know this is a very dog friendly hotel the minute you walk into the Victorian lobby area! 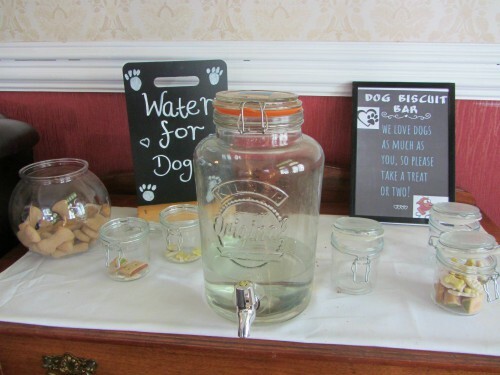 On a separate table you’ll find lots of dog treats that you can help yourself too, a really nice touch, as well as a water siphon to fill up the water bowl. Dogs are allowed into the Terrace Restaurant but not into the main dining area. And, as to be expected, 4 of the rooms are NOT dog friendly so do make sure you ask, when booking. 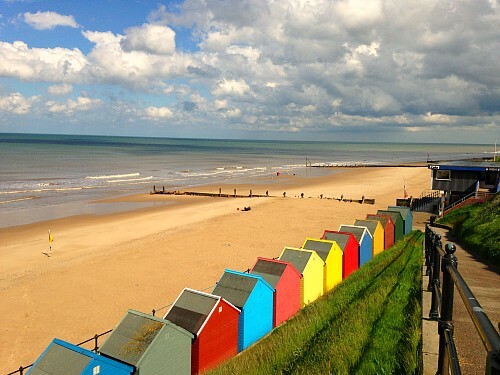 There is plenty of walking on Mundesley beach, just below the hotel. This beach is dog friendly in the winter months, but does have restrictions in the summer months (May to September). However, the restrictions apply to the main beach straight down from the ramp, so all you need to do is walk to the left or to the right and continue along there where you can walk for a long while, especially if the tide is out. And don’t forget there are many other dog friendly beaches close by which you can enjoy as well. You won’t be short for dining space here. 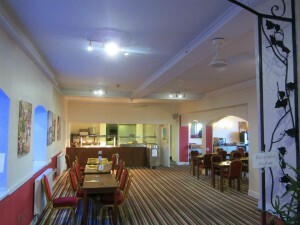 There are 4 dining areas to choose from. Then there is the Piano Lounge which, as I write, is being brought back to life and is being redecorated to showcase the Victorian cornicing all around the ceiling. 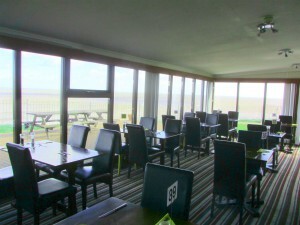 This room is often used for Jazz and Piano events and the bay window has sea views. 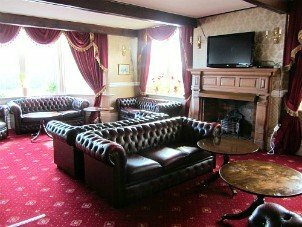 The hotel have special theme days during the week such as a steak night and a pie and a pint night, as well as a popular carvery on Sunday, so there are lots of options for you to choose from. There’s also a full restaurant menu from Monday to Saturday. You can also book with OpenTable too. This is a little hidden gem in the middle of Mundesely! Also owned by Steve, the Bar Victoriana is all you could imagine from an era dating back to the Victorians. The original ceiling has been kept which gives the most amazing atmosphere to the wonderfully restored building. This bar brings a bit of life to Mundesley and is well worth a visit. From the outside you would never imagine what it was like inside. It’s a little bit jaw dropping! Also it's an excellent place to have a party too! 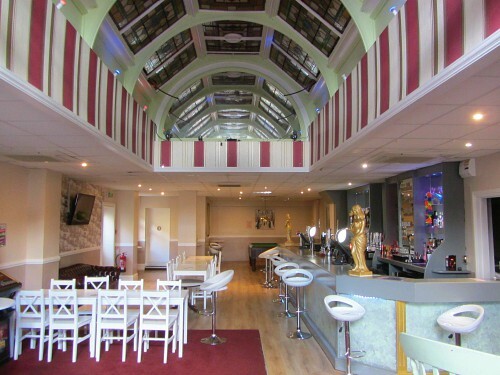 Live entertainment is often put on here, and you won’t be short of a choice of gins, largers, ciders or cocktails! They brew their own gin and I was given a taster of the pink gin (delicious, in my opinion) and sea breeze (also rather delicious!). You can follow their facebook page here as they have the list of all the live entertainment, or you can visit the Bar Victoriana website here. If you stay at the Manor Hotel and feel like a bit of entertainment and a night out, then definitely pop along to the Bar Victoriana! The Manor Hotel Mundesley also has the facilities for you to hold your special wedding day here - imagine the back drop of the sea in the photos! There is more information on their website about the wedding packages which you'll find here. 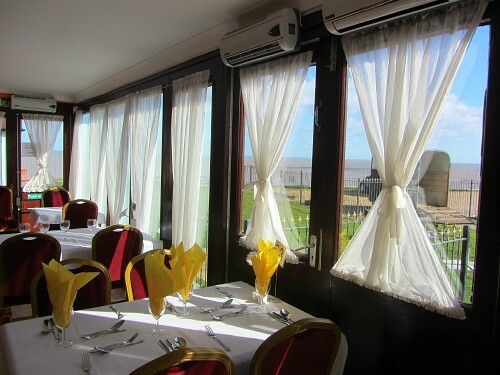 Functions can also be held here in any of the receptions rooms, and these prove very popular, especially with the sea views! 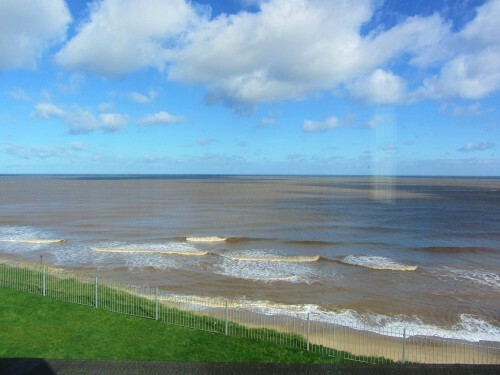 For a brief summary, if you are thinking of taking a holiday in Norfolk, or a short break holiday or even a winter break and want a coastal experience, then the Manor Hotel Mundesley would be a great place to base yourselves. 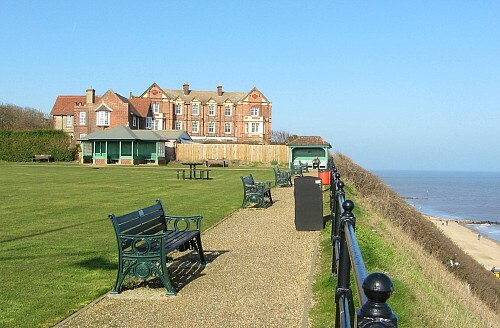 situated on the cliff top just above the fantastic Mundesley beach.